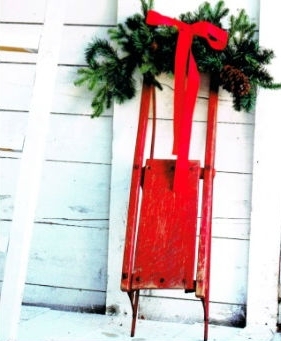 I try to incorporate a few simple, DIY holiday items around this time of year. Here are a couple of my favourites from my own house – very easy ideas and some you can leave up all winter. The sled above is an antique luge that I love leaving out all winter. Vases filled with inexpensive red balls just add a festive look to tables or mantels. So simple! I also like to bring in some boughs, cedar, fir or pine and use this in vases around the house too. 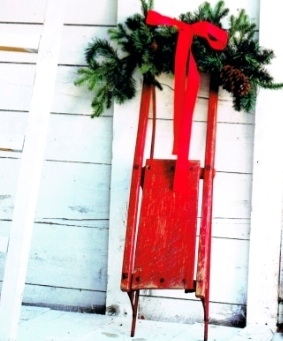 Just some simple ways to bring in some festive, bright decor.